Shop online for 189 branchline model trains at discounts up to 17%. Buildings is the most popular of the 4 branchline model trains categories, then Scratch Supplies, and Bridge-Trestle-Girder. 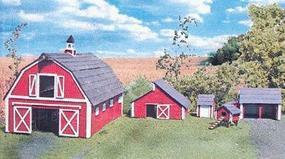 This is the N Scale Barn & Outbuildings Laser Art Kit from Branchline Trains. This is the N Scale The Drayton House Laser-Cut Wood Kit from Branchline Trains. 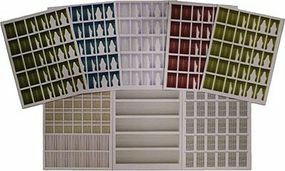 This is the N Scale Window Treatment Sheets - 8 Different Sheets from Branchline Trains. 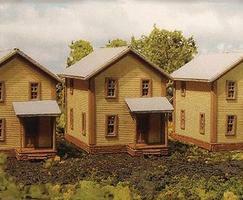 This is the N Scale Company House #1 - Laser Art - pkg(3) Each- 1-1/2 x 3-1/4 x 1-3/4'' 3.8 x 8.3 x 4.5cm from Branchline Trains. 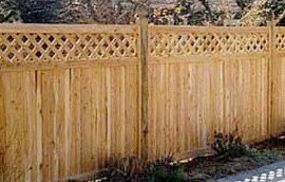 This is the O Scale Laser-Art Picket Fence - Kit (Laser-Cut Wood) (Stockade Privacy 80 Scale Feet) from Branchline Trains. This is the O Scale Fallen Barn Laser-Art Kit from Branchline Trains. This is the HO Scale Window Treatment Sheets Laser Art Kit 8 Different Sheets (8) from Branchline Trains. 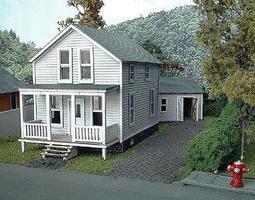 This is the HO Scale The Finley Catalog House - Laser-Art - Kit from Branchline Trains. This is the HO Scale Laser-Art Wood Structure Kits - Canaan Union Station (22 x 20 x 7'') from Branchline Trains. 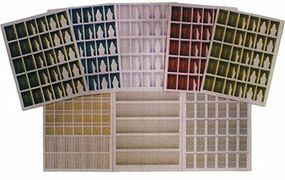 This is the O Scale Window Treatment Sheets - 8 Different Sheets from Branchline Trains. This is the HO Scale Cobleskill Coal Laser Art Kit (12 x 5 x 7-1/2'' 30.5 x 12.7 x 19.1cm) from Branchline Trains. This is the HO Scale The Drayton Catalog House Laser-Art Kit from Branchline Trains. This is the HO Scale Laser-Art Roofing 9 x 12'' 22.8 x 30.4cm Sheets pkg(2) - Fish Scale Shingles from Branchline Trains. This is the N Scale Tower House - Laser Art - Kit - 2-1/2 x 1-1/4 x 3'' 6.4 x 3.2 x 7.6cm from Branchline Trains. This is the N Scale Roscoe Store - Laser-Art - Kit (3 x 3-1/2 x 3'' 7.6 x 8.9 x 7.6cm) from Branchline Trains. This is the HO Scale The Lincoln House - Laser-Art - Laser-Cut Wood Kit (5-1/2 x 7-1/2 x 5'') from Branchline Trains. 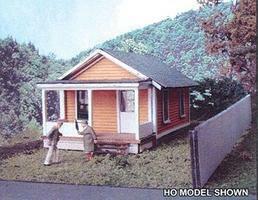 This is the HO Scale The Suburban Catalog House Kit from Branchline Trains. This is the HO Scale Laser Art Structure Kits - Victorian Classics - The Woodward House (3-1/2 x 4-1/2 x 4-1/2'') from Branchline Trains. 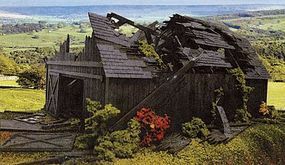 This is the N Scale Fallen Barn w/Collapsed Roof Laser-Art Kit (3 x 1-1/4 x 1-1/2'' 7.6 x 3.2 x 3.8cm) from Branchline Trains.